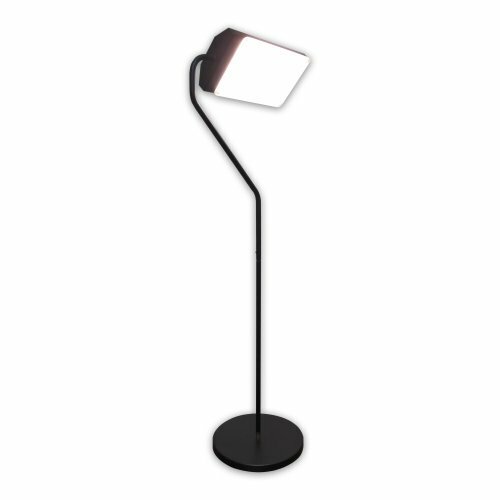 The Northern Light Technology Flamingo Floor Lamp takes a different approach to most SAD lamps on the market. It’s a floor lamp, which is rare to find, with a completely adjustable light face angle. It’s a well-made, sturdy lamp with an excellent warranty by a good company with a fine reputation. The bulbs are fluorescent and a little costly to replace, and the lamp comes with a whopping $230 price tag at the time of writing. Still, it’s very stylish and unassuming. Despite the comfort and aesthetic it provides, the price does seem too high. Even if you don’t like the lamp, the company offers a 30-day guarantee for a full refund. It’s worth trying out at the very least. Northern Light Technologies was founded in 1989 by a group of engineers. Since its creation, the company has been dedicated to improving the lives of people with seasonal affective disorder and sleeping problems. 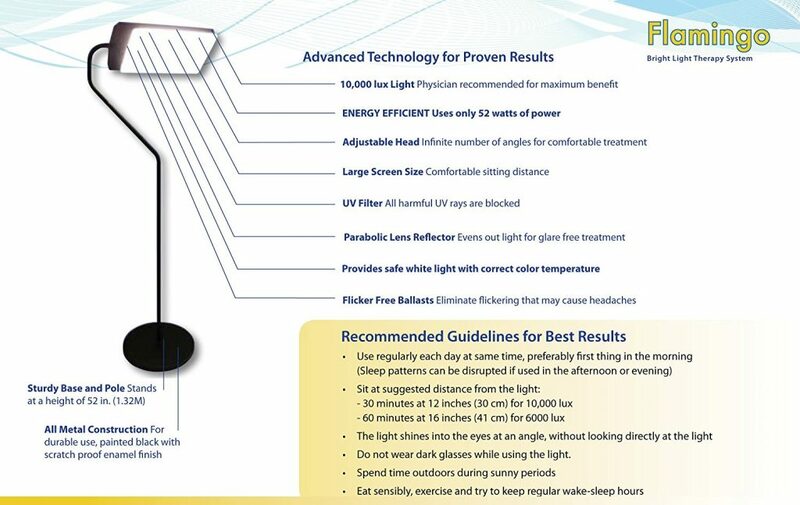 In 1993, they helped found the Circadian Lighting Association to achieve these ends. This lamp looks like a regular floor lamp with a nice ‘flamingo’ design. 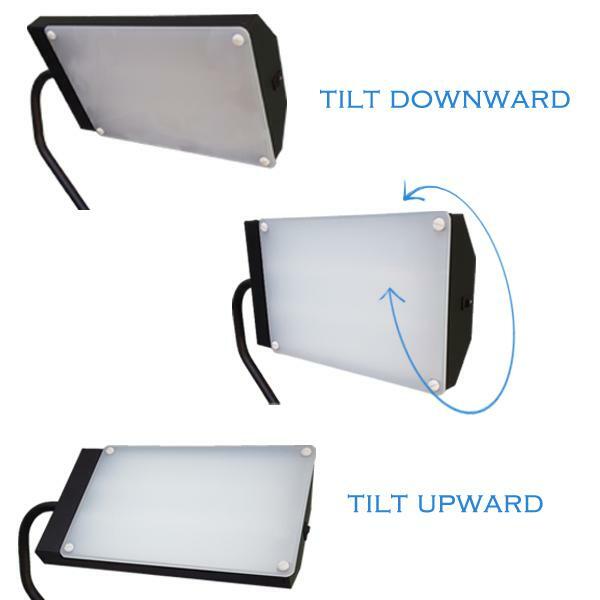 The central pole is curved backwards to put the light at a more manageable level. The lamp is 4 feet tall and made of excellent quality metal. It’s designed with only one height setting, which is a slight drawback. It would be nice if you could adjust the height. But the height does make it perfect for sitting in a recliner for therapy sessions. It scores top marks for Aesthetics. It’s very easy for this lamp to blend in; it looks like it belongs in a designer-style living room. The metal parts of the lamp are a brass color that looks very nice in any décor. It does lose points in this category as it is not portable and because it requires some setup. The Flamingo Floor Lamp does require some assembly, though the instructions are included in the manual and are fairly straightforward. Some customers have reported that their lamps arrive broken, but the company is excellent about replacing the product if this happens. You must attach the base to the pole and screw the parts of the pole together before attaching the head of the lamp. Then make sure that all bulbs are functioning and do not need any adjustment. After these steps, your lamp should be upright and ready to be plugged in. Turning the lamp on is only a matter of using the switch on the top of the shade. We could not fault this lamp at all for build quality. It is made with a mix of plastic and metal but all is finished very well and the metal parts are well machined. It scores top marks in our build quality ranking. At four feet tall this lamp is perfect for use while sitting on a couch or armchair. However, the height is not adjustable, which makes it a little awkward for some people. The height didn’t at all bother me, as it doubled perfectly as a task light for reading on the couch or in a chair. The base is nice and heavy, making the lamp less liable to tip over during use. The Flamingo is backed by an incredible 7-year limited warranty for any flaws in production or design. Additionally, there’s a 30-day money back guarantee if you get your lamp and don’t like it. The company offers excellent customer service, with quick responses and helpful representatives. Performance wise, this lamp scores just average points. However, this floor lamp does its job well. It puts out 10,000 lux at 12 inches and 5,000 lux at 20 inches, though of course, your treatment times will have to be adjusted accordingly. 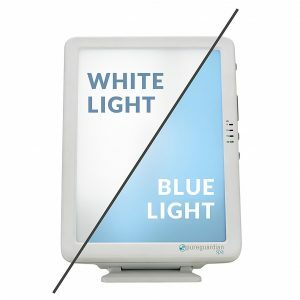 The light face is covered by a UV-blocking diffusing panel that makes the light easier on your eyes and keeps you safe from all UV rays. 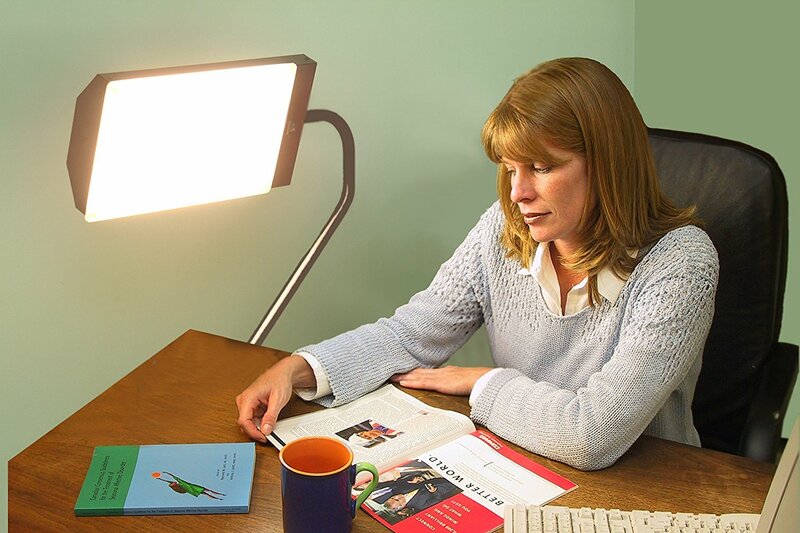 The color temperature on this lamp is 3,500 K of white light. 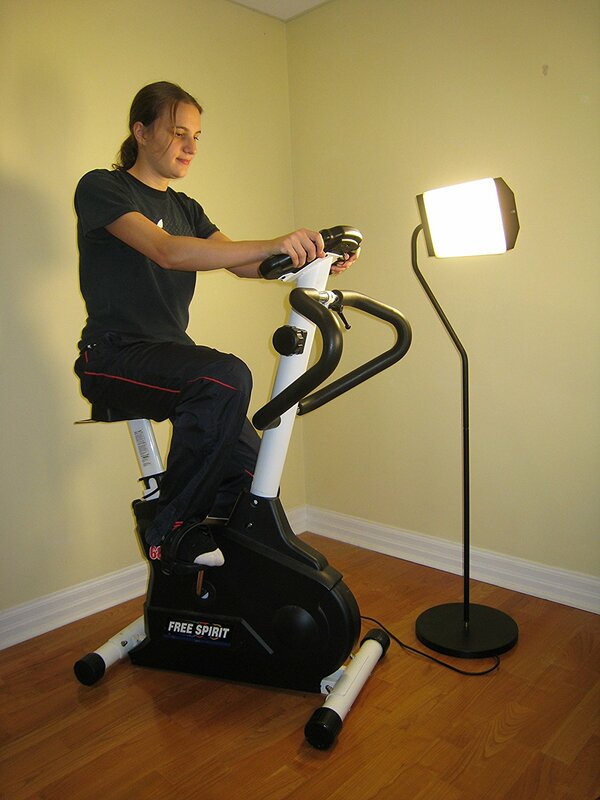 The lamp uses fluorescent bulbs, which are somewhat expensive to replace at $25 each from the manufacturer. 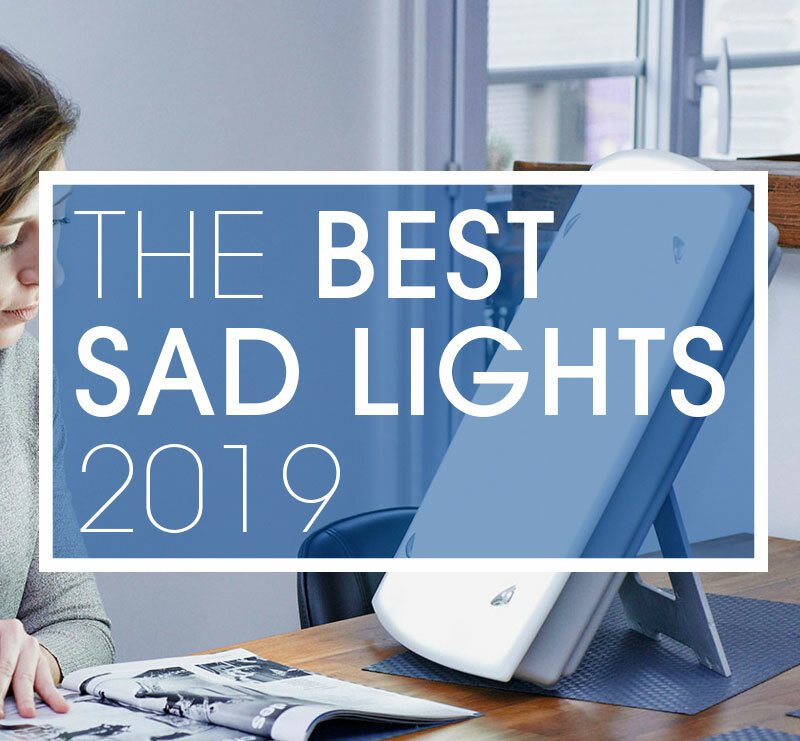 The lamp is ten pounds, so it isn’t portable at all, though the 6-foot power cord ensures that it can easily sit wherever you need it to. 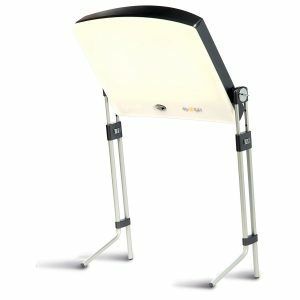 The shade rotates completely, giving you an adjustable angle that’s perfect for wherever you choose to sit. This makes it a good fit to be occasionally used as mood lighting as well, as the lamp can be turned towards the ceiling to illuminate the room. However, the one brightness setting makes using the Flamingo as a task lamp a little harrowing at times. There is also no timer included, which is a bit of a downside considering the price. You will need a converter plug if you plan on taking this lamp with you internationally, but it does weight about ten pounds so this probably isn’t the best option for travel. If you are looking to purchase this from outside the US, you will be pleased to know that it is dual voltage. 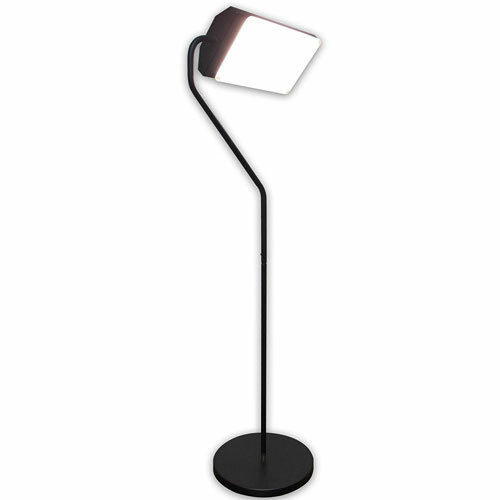 For a lamp of its size, the Flamingo is extremely power-efficient. 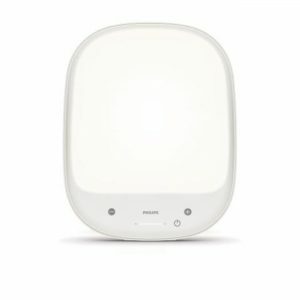 It uses less than 52 watts of power, making it easy on the electric bill while still being bright and effective. At $230 this is right on the top end of the market. We feel this is too high a price to pay for just average performance and there are better options out there. 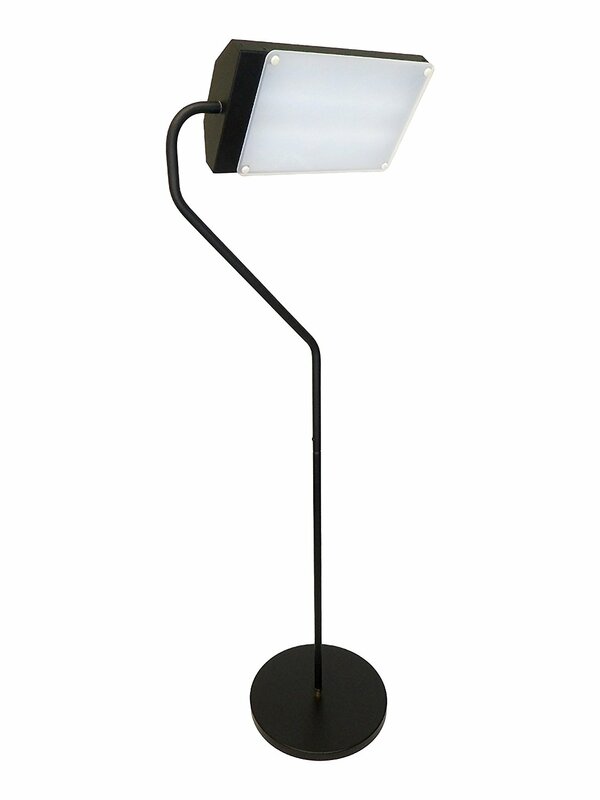 However, if you are in the market specifically for a floor standing lamp this should be worthy of your consideration.